Brittany Preston, ’19, enrolled at Meredith College unsure of the career path she wanted to pursue. When she graduates in May, she will be headed for a future that was discovered by combining her passions and being in an environment that encouraged her. “As a person who thrives off structure and plans, it was challenging for me to continue to take classes each semester when I had no idea how they would help me figure out what I wanted to do,” said Brittany. Melinda Campbell, Brittany’s adviser and head of the Department of Nutrition, Health, and Human Performance, provided constant reassurance that she would find her niche and encouraged her to continue to step out of her comfort zone and take different courses. With this support, she found her career path. As an exercise and sports science major, Brittany plans to attend graduate school for occupational therapy, where she one day hopes to specialize in pediatrics. Aside from academics, Brittany uses her passion for helping people to make a difference across campus. The Clayton, N.C., native is the Chief Wings and Transfer Adviser, a Meredith Activities Board Publicity co-chair, a member of White Iris Circle, and captain of the Avenging Angels basketball team. On the basketball court, Brittany has earned the Coach’s Award and collected USA South All-Academic Team honors. She is also a member of the Student-Athlete Advisory Committee. At Meredith, Brittany has developed a love for research and is excited to gain more hands-on learning experiences. She is currently conducting research on the effects of pre-workout supplementation on measures of cognition and performance in female college athletes. She also plans to intern with a pediatric occupational clinic in the spring. “Meredith has provided hands-on research experiences both in the classroom and in the real world, to build on my strengths and confidence,” said Brittany. Growing up in a military home, Brittany constantly moved around and often had difficulty being accepted in new schools and communities. Meredith was different. 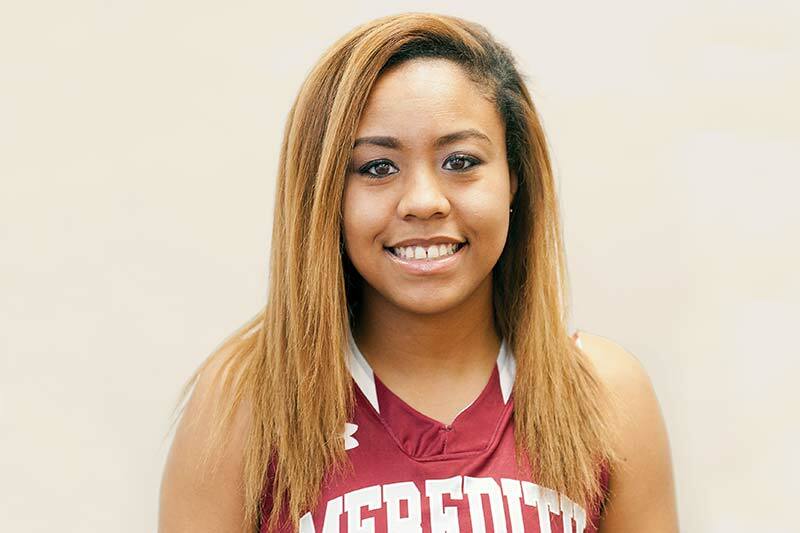 As she prepares for her future outside of the Meredith gates, Brittany will take with her a stronger confidence and valuable lessons that will help her make an impact in the lives of others.